Merck gives back to society through Merck Foundation’s programs to build Cancer Care Capacity in Africa. Merck Foundation provides Africa with Thirty New Oncologists through Merck Africa Oncology Fellowship Program established in India, Kenya, Malaysia, and Egypt. SDG 3 calls us to sustainably invest in building Healthcare Capacity to improve access to equitable healthcare solutions. Merck Foundation (www.Merck-Foundation.com), the philanthropic arm of Merck KGaA (www.Merck.com) Germany, continues the second stage of their Africa Oncology Fellowship Program that started in 2016 with the aim to increase the limited number of oncologists in Africa. “Twenty candidates from Uganda, Zambia, Ethiopia, Namibia, Ghana, South Africa, Botswana, Liberia, Tanzania, and Kenya have enrolled in the Merck Africa Oncology Fellowship Program in partnership with African Ministries of Health, the University of Nairobi, Kenya, Tata Memorial Centre, India, and Cairo University, Egypt. We are very proud of our contribution, to lead Africa to a better future through changing the landscape of Cancer care in the continent.” Rasha Kelej added. “In 2018, We will continue to enroll more candidates and engage other countries on this program as we firmly believe this is a vital component of improving the quality and accessibility of cancer care in Africa. We have received requests from countries such as; Niger, guinea, Gambia, the Central African Republic to partner with them through their First Ladies' offices and Ministries of Health to provide our fellowship program to their doctors with the aim to improve access to quality cancer care in their countries and across the continent. Merck Foundation will continue their long-term commitment to further partner with more Sub-Saharan African Countries to realize their vision to create a strong platform of future trained oncologists “, Rasha Kelej added. “A world where everyone should lead a healthy and fulfilling life, this is Merck Foundation ‘s vision. We are working together to achieve the Sustainable Development goals- SDGs. The SDG 3: Ensure healthy lives and promote well-being for all at all ages, calls us to sustainably invest on building healthcare capacity to improve access to safe, effective, quality, and affordable healthcare solutions for all by 2030.” Kelej emphasized. The Merck Foundation (www.Merck-Foundation.com), established in 2017, is a philanthropic organization that aims to improve the health and wellbeing of people and advance their lives through science and technology. Our efforts are primarily focused on improving access to innovative healthcare solutions in underserved communities, building healthcare and scientific research capacity and empowering people in STEM (Science, Technology, Engineering, and Mathematics) with a special focus on women and youth. 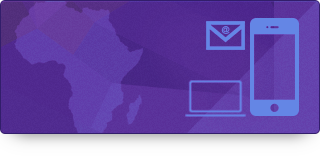 All Merck Foundation press releases are distributed by e-mail at the same time they become available on the Merck Foundation Website. Please go to www.Merck-Foundation.com to read more and/or register online to interact and exchange experience with our registered members. Merck (www.Merck.com) is a leading science and technology company in healthcare, life science and performance materials. Around 50,000 employees work to further develop technologies that improve and enhance life – from biopharmaceutical therapies to treat cancer or multiple sclerosis, cutting-edge systems for scientific research and production, to liquid crystals for smartphones and LCD televisions. In 2016, Merck generated sales of € 15.0 billion in 66 countries. Merck Foundation (www.Merck-Foundation.com), the philanthropic arm of Merck KGaA (www.Merck.com) Germany, continues the second stage of their Africa Oncology Fellowship Program that started in 2016 with the aim to increase the limited number of oncologists in Africa. In June 2017, BIO Ventures for Global Health (BVGH), and the African Organization for Research and Training in Cancer (AORTIC) released a white paper on the African continent’s emerging cancer crisis. Over 20% of African countries have no access to cancer treatments at all, while access is limited and sporadic in other countries. Later-stage diagnosis in African patients contributes to poorer outcomes. For example, 5-year female breast cancer relative survival rates are 46% in Uganda and 12% in The Gambia, compared with around 90% in developed countries, the report cited. Dr. Rasha Kelej, CEO of Merck Foundation emphasized, “One of the main objectives of Merck Foundation is to build a strong platform of qualified medical, paediatric and surgical oncologists across the continent through the Merck Africa Oncology Fellowship Program.” “Twenty candidates from Uganda, Zambia, Ethiopia, Namibia, Ghana, South Africa, Botswana, Liberia, Tanzania, and Kenya have enrolled in the Merck Africa Oncology Fellowship Program in partnership with African Ministries of Health, the University of Nairobi, Kenya, Tata Memorial Centre, India, and Cairo University, Egypt. We are very proud of our contribution, to lead Africa to a better future through changing the landscape of Cancer care in the continent.” Rasha Kelej added. In partnership with Ministries of Health and Academia across Africa, the Merck Africa Oncology Fellowship Program provides one-year and two-year oncology fellowship programs and a three-year master degree in medical oncology at Tata Memorial Centre, India, University of Nairobi, Kenya, University of Malaya, Malaysia, and Cairo University, Egypt, respectively. Launched in 2016, with the aim to increase the limited number of qualified oncologists in the continent, three medical doctors from Sub-Saharan African countries, Kenya and South Africa were granted a two-year Africa medical oncology fellowship training at the University of Nairobi. Also, Merck Foundation supported another two African doctors from Ghana and Tanzania for the Paediatric and Adult Medical Oncology Fellowship program that is conducted annually at Tata Memorial Centre, India. In 2017; Merck Foundation partnered with more African countries such as; Rwanda, Liberia, Zambia, Ethiopia, Botswana and Uganda to provide ten candidates with the one-year oncology fellowship program in India and three candidates from Liberia, Ghana and Namibia to conduct a master degree in clinical oncology at Cairo University, Egypt. “In 2018, We will continue to enroll more candidates and engage other countries on this program as we firmly believe this is a vital component of improving the quality and accessibility of cancer care in Africa. We have received requests from countries such as; Niger, guinea, Gambia, the Central African Republic to partner with them through their First Ladies' offices and Ministries of Health to provide our fellowship program to their doctors with the aim to improve access to quality cancer care in their countries and across the continent. Merck Foundation will continue their long-term commitment to further partner with more Sub-Saharan African Countries to realize their vision to create a strong platform of future trained oncologists “, Rasha Kelej added. The partnership between Merck Foundation and The African First ladies’ organization has been established in Jan 2018, to cooperate in building healthcare capacity with the special focus on cancer, Diabetes and fertility care in their countries with the support of their Ministries of Health. Merck Foundation has supported the African governments to define their strategies, to emphasize on building professional capacity and focus on long-term training, with the aim to develop trained oncologists and not only relying on Drug or equipment donation, which will help them to be independent and would overcome their major challenge, which is the lack of skilled oncologists and healthcare professionals in general. Merck Foundation strongly believes that building professional healthcare capacity is the right strategy to improve access to quality and equitable cancer care in Africa. Merck Foundation makes History: Merck Foundation will train the first medical Oncologist in some Sub- Saharan African Countries such as the Gambia and Guinea Conakry where they never had an oncologist or cancer care facility, we are making history there, and through them, we will transform people’s lives every day. The annual platform of Merck Foundation- Merck Africa Asia Luminary and Solutions for Cancer Access: Since 2013, Merck Africa Asia Luminary features a workshop dedicated exclusively to improve access to cancer care through Capacity building through Merck Foundation, www.Merck-Foundation.com. It convenes key players from the global, regional and local cancer network, health ministers, and First ladies, with the goal of encouraging dialogue among stakeholders, raises awareness of the issues, explores partnership opportunities to generate ideas for potential solutions to existing challenges. Merck Foundation Vision and Call for Action: “A world where everyone should lead a healthy and fulfilling life, this is Merck Foundation ‘s vision. We are working together to achieve the Sustainable Development goals- SDGs. The SDG 3: Ensure healthy lives and promote well-being for all at all ages, calls us to sustainably invest on building healthcare capacity to improve access to safe, effective, quality, and affordable healthcare solutions for all by 2030.” Kelej emphasized. Background: The African Union has targeted by 2063, every citizen will have full access to affordable and quality health care services, and integrated and comprehensive health services and infrastructure will be in place, where services are available, accessible, affordable, acceptable and of quality. Distributed by APO Group on behalf of Merck Foundation. Rendered in 1.1686 sec. using 6.11MB.